Recently, the International Center for Journalists (ICFJ) and Malaria No More programme selected some journalists to participate in “Covering the Fight to Eradicate Malaria: A Fellowship for U.S. and International Journalists, ” in Thailand and Cambodia. Among the nine journalists who were selected, eight of them that participated to tour the two countries returned enthused with the on-going multi-level malaria research and development to ensure innovation and fight drug-resistance parasite. The journey took them to key research centres, clinics in both countries and as far asThai-Myanmar border to visit the Shoklo Malaria Research Unit (SMRU) clinic. CHIOMA UMEHA, (HEALTH EDITOR, NEWSWATCH TIMES), who represented African journalists in the premier fellowship, reports that African countries, especially Nigeria is behind the global race to eradicate malaria in view of on-going research in the two countries. Many know that Thailand is a dominant exporter of rice in the world. However, only few may be privy to the Malaria Control Programme going on there. Also, not many are aware that the country is at the centre of global efforts to prevent the loss of the best anti-malaria drug currently available which is Artemisinin-based Combination Therapy (ACT). Similarly, many may not know about the effort of the Asian country in containing artemisinin resistance along the Thai-Cambodia and Thai-Myanmar borders. But, eight journalists who were sponsored by the International Center for Journalists(ICFJ) and Malaria No More programme to participate in “Covering the Fight to Eradicate Malaria: A Fellowship for U.S. and International Journalists,” in Cambodia and Thailand were privileged to obtain first-hand experience of the malaria research activities in these areas. The Journalists, who just returned from their visits to the two countries, said they discovered what could pass on as a ‘model’ in malaria research and development, to provide innovation and combat drug resistance. From connecting with top researchers, government officials and small business leaders to studying cross-border migration and disease control issues, the six-day fellowship in Thailand and Cambodia showed a broader context of the barriers to malaria eradication and the threat of drug-resistant malaria. The programme included visits to clinics, meeting doctors, patients and staff at the Shoklo Malaria Research Unit (SMRU); Armed Forces Research Institute of Medical Sciences (AFRIMS) clinic location in Mae Sot town; office of the Bureau of Vector-Borne Disease (BVBD) and AFRIMS Library, Bangkok, Thailand. Others were visits to Phonm Penh, Cambodia to first Public Private Mix (PPM) provider; Memot Plantation, Memot District, TbongKhmom; PPM providers PonheaKrek and Soung Districts, TbongKhmom province, Cambodia among others. What they saw confirmed that there are many missing gaps which account for the challenge in malaria control, especially in Africa countries such as Nigeria that is endemic of the disease. Malaria is a preventable and curable disease, yet in 2013, the World Health Organization (WHO) estimated that the disease killed more than 580,000 people. Nearly half the world’s population is at risk of malaria. Most deaths occur among children under the age of five living in sub-Saharan Africa. Lack of access to quality artemisinin-based combination therapy (ACT) to treat malaria is increasing around the world, but its misuse, together with the use of cheaper, ineffective drugs can lead to dangerous drug resistance. Spread of resistance could jeopardize the efficacy of ACT, which is the best treatment currently available. Also, misdiagnosis of fever can lead to misuse of ACT, which contributes to increasing drug resistance, as well as avoidable deaths from pneumonia and diarrheal disease. Fever case management is thus becoming increasingly important. Artemisinin is one of the most effective drugs against malaria; its use in combination with other therapies has led to a revolution in malaria control globally. Giving his presentation titled: “Introduction & Overview in Fighting the World’s Oldest Disease,” Professor Arjen Dondorp, Head of Malaria & Director of Mahidol-Oxford Tropical Medicine Research Unit (MORU) identified five human Plasmodium (P) species are: P. falciparum, P. vivax, P. malariae, P. ovale and P. knowlesi. At Shoklo Malaria Research Unit (SMRU), MORU Units, journalists were exposed to wide range of new malaria research projects geared to ensuring: Elimination of artemisinin resistant P. falciparum and elimination of P. vivax and studies on malaria vectors and the hypnozoites of P. vivax. The Wellcome Trust – Mahidol University – Oxford Tropical Medicine Research Programme, also known as the Wellcome Trust Thailand Major Overseas Programme (MOP), was founded in 1979 as a collaboration between Mahidol University’s Faculty of Tropical Medicine, the Nuffield Department of Medicine in Oxford, and the Wellcome Trust. Following sustained support from the Wellcome Trust, the programme has grown considerably in reach and capability, with the creation of the Shoklo Malaria Research Unit (SMRU) on the Thai-Myanmar border in 1986. Commenting on the extent of research advancement at SMRU, Dondorp said: “We have conducted over 50 clinical trials involving over 15,000 patients making SMRU the world largest single centre by the number of patients recruited; pioneered the development of artemisinin combination therapies (ACTs) and studied the next generation of antimalarials. 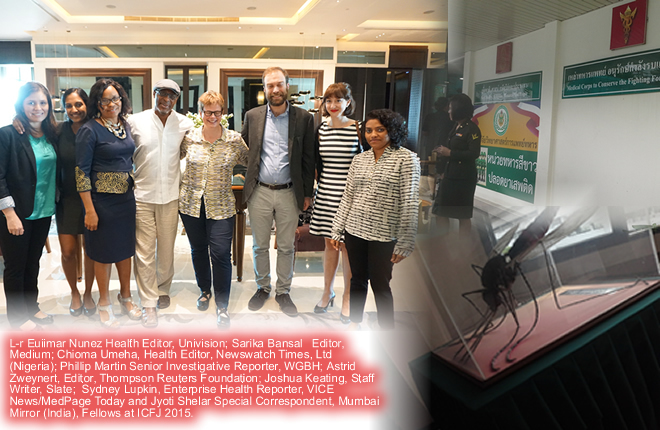 Gilles Demas, Director of the Malaria Elimination Programme, guided the eight journalists, including, ICFJ/Malaria No More staff, the Programme Manager, Lyndsey Wajert, Global Communications Manager, Dena Gudaitis and Jeff Doyle in two groups round the SMRU laboratory. During the tour, Demas, Director of the Malaria Elimination Programme, detailed how the laboratory which now possess a fully functioning insectary hosts two anopheles colonies transmitting P. vivax and P.falciparum. P. vivax sporozoites are produced for in-vitro studies of liver stages. Demas further explained that the laboratory is presently collaborating with entomologists to identify the main vectors on the Thai-Myanmar border as part of the malaria elimination studies. According to him, the malaria in-vitro laboratory has successfully adapted the culture systems to the flow cytometry, the microscopy laboratory and the study of new diagnostic tools. Similarly, the Director of the Malaria Elimination Programme added: “The microbiology laboratory provides a range of tests for diagnostic, surveillance and research purposes”. The various tests, he said include: Microscopy, culture, antibiotic susceptibility testing, and immunological based assays and molecular assays. Specifically, Gilles said that the lab carries out influenza surveillance (funded by the Centre for Disease and Control (CDC), Dengue diagnostics and antenatal urine screening. “More recently, molecular diagnostics for tuberculosis diagnosis has been implemented that also enables rapid detection of rifampicin resistance,” he added. Briefing journalists, Prof Francois Nosten, Director of the SMRU, said that the unit has performed many treatment trials and pharmacokinetics studies of antimalarials in pregnancies which were published in literature. Nosten who also said that the unit has studied large numbers of isolates of P. falciparum and P. vivaxinvitro., described in details the epidemiology of malaria in this area. He gave a quick historical background of drug development which began with Chloroquine in the late 50s. He said Fansidar was developed to replace Chloriquine before the introduction of Mefloquinein 1985. Following rising cases of malaria and failure in treatment with available drugs, Artesunate (INN), part of the Artemisinin group of drugs was developed and its use began in 1991. The SMRU Director noted that there was an official declaration of Artemisinin-based combination therapy (ACTs) use across the world in 2006, adding that this led to a global shortfall of malaria, for example in Greater Mekong Sub region (GMS) Thailand, where few cases were recorded. Reacting to the lessons which Nigeria can derive from the research efforts in the two Asian countries, he regretted that Africa is behind in the race against malaria parasites. He also recommended for a study of next generation drugs, while urging Nigeria to start working at the community level to achieve malaria control, insisting that nothing is going to come out of the Ministry of Health. He maintained: “We have to start working with Civil Society Organisations (CSOs) and warned; “Don’t wait for government.” According to him, 90 per cent international assistance evaporates following over-dependence on government to champion malaria control cause, especially in African countries like Nigeria. To forestall what he declared as a public health emergency, Director of the SMRU, stressed: “We must eliminate (falciparum) malaria quickly before it becomes untreatable. This implies also attacking the asymptomatic parasite reservoir. We urgently need new antimalarial drugs; till then, we will have to be creative with what we have: Targeting ACT drugs (TACT). This story was published in Newswatch Times on November 26, 2015. 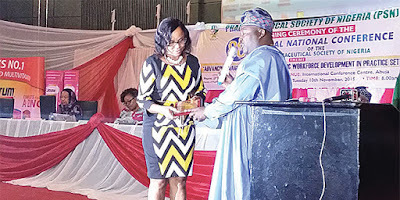 Chioma Umeha, Health Editor Newswatch Times has won premier award of the Ben Ukwuoma Health Awards instituted by the Pharmaceutical Society of Nigeria (PSN) in honour of late Mr. Benjamin Chima Ukwuoma who was until his death the Acting News Editor and Health Editor of The Guardian Newspapers. Umeha won the maiden award which subsequently would be an annual one given to the best health correspondent in the country and would be determined by a panel of assessors set up by the society. 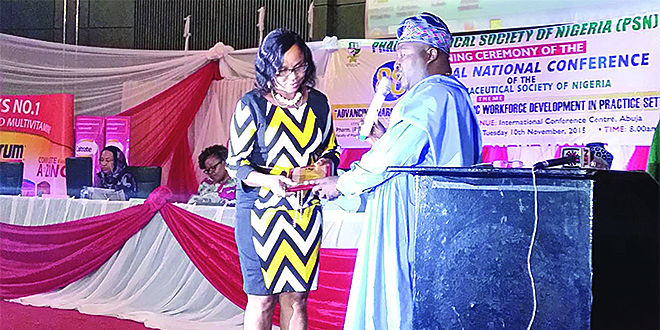 The inaugural award was given out Tuesday, at the opening ceremony of the 88th Annual National Conference of the Society tagged “Unity 2015,” which began at the International Conference Centre, Abuja, on Monday and ended today. Ukwuoma died on February 20, 2012, at the age of 50, after a brief illness suspected to be complications of Type 2 diabetes. 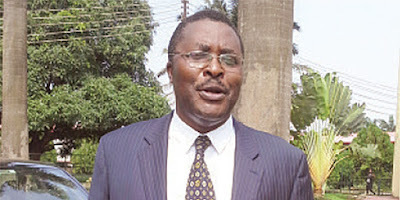 The late Ukwuoma was described as a thoroughbred and versatile journalist and a leading light and doyen of healthcare reporting in the country. The Uratta-Owerri of Imo State native and graduate of Biochemistry from the University of Calabar, Cross River State, Joined The Guardian on September 25, 1989 as Health Reporter. Extolling the sterling qualities of the late journalist during the occasion, the President of PSN, Mr. Olumide Akintayo said: “We at the Pharmaceutical Society of Nigeria believe that Mr. Ukwuoma was a big blessing to journalism and he surely added value to numerous programmes of the Pharmaceutical Society of Nigeria and its appendages. The manifesto itself was structured as a 13-point agenda with a prime motive to oil the PSN machine for improved performance. The 13-point agenda include: Setting up of the Pharmacy Academy; fee based practice and use of professional seal; PSN I.D Directory, I D cards and certificate of membership; pricing of drugs; professional studies; judicial redress of offensive development; establishment of the National Postgraduate College of Pharmacists; the routine programmes; World Pharmacists Day; World Disease Days; welfare of pharmacists; relationship with professional bodies, global platforms and other affiliate groups; and advocacy and media relations. Akintayo said: “As at the 2014 Annual National Conference, I had reported to the AGM that we had effectively delivered in 12 out of the 13 major areas of deliverables.“In pursuance of our progressive agenda to orientate the national conference as the platform of a grandeur of luxurious boom, we have invited Prof. Oparah, who is a Fellow of PSN (FPSN), to give us insight into the choice of theme: “Advancing Pharmacy through Strategic Workforce Development in Practice Settings”. Prof. Azuka Oparah, who is thoroughly equipped to do this as I am too sure most of you remember him as the very successful immediate past Secretary General of West African Postgraduate College of Pharmacists. “We shall have more energized MCPD sessions and I urge colleagues to utilize this forum to earn credit points as the re-certification process beckons. “Colleagues, I have deplored all my skills, talent and wisdom to take this profession to the next level in the last three years. “It is time to take a bow for a new lease of life. I thank you all for the immensity of your liberality which obviously nurtured and sustained my PSN career in the almost thirty years I have been a player at state, national and international levels,” Akintayo added. He also said: “The PSN is great not just in quality of persons, but in spirit and I appeal that in the years ahead, we need to improve in the areas of discipline and core values in order to cope with the pace of development on all frontiers of our environment. Other main high points at the occasions of the opening ceremony of the convention are: The presentation of the Evergreen Award to one of many legends of pharmacy – Pharm. (Prince) Julius Adelusi-Adeluyi and presentation of award to the Overall Best Graduating Student, 2013/2014 Session, Faculty of Pharmacy, University of Nigeria, Nsukka, Miss Nkiruka Ozioma Ibeanu. This story was published in Newswatch Times on November 14, 2015. 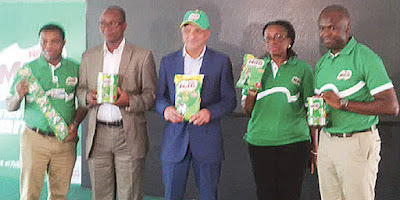 As part of its commitment to ensure consumer’s satisfaction, Nestlé Nigeria, makers of Milo has re-launched the very popular children’s breakfast beverage drink, with addition of a new ingredient, Activ-Go. 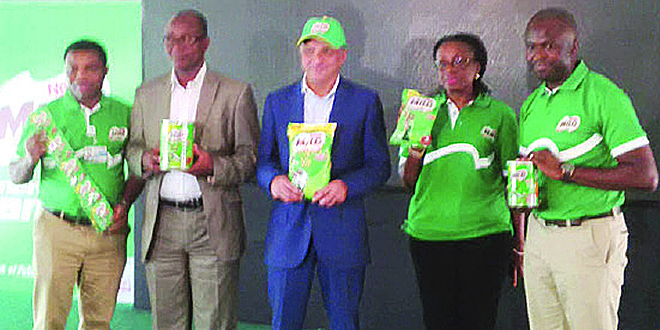 The event took place on Monday at the company’s Lagos headquarters. Active-Go is made from protomalt, a malt extract made from malted barley grains, which provides energy and contains vitamins B, C and Calcium. The Vice President of the Nutrition Society of Nigeria (NSN), Bartholomew Brai, made short presentation during the re-launch where he endorsed the drink as a good source of energy. Milo, a ready-to-drink chocolate and malt powder beverage that can be mixed with either hot or cold water was originally developed by Thomas Mayne in Sydney, Australia in 1934. Now produced by Nestle, it has grown to become one of the most popular beverage drinks in many parts of the world. Dr. Oliver C Ezechi is the Deputy Director Research & Consultant Obstetric gyneacologist and Head, Clinical Sciences Division, Nigerian Institute of Medical Research (NIMR) Lagos. He was one of the lead researchers out of about 20 in a new study titled: ‘ Effects of alcohol in pregnancy ’ which was carried out under the sponsorship of Nigerian Breweries Plc, Lagos, Nigeria. Last year, 40 babies had their first drink before they were born. So quipped Ezechi, recently, when he presented the result of the research to a mammoth crowd of professionals, experts and journalists at the fifth anniversary of the Prof. Innocent Ujah, as the Director General (DG) of NIMR. CHIOMA UMEHA (HEALTH EDITOR) was there and has the excerpts. The project tagged; ‘Drink it right’ is aimed at improving awareness among women on the health related harm of alcohol use in pregnancy. Alcohol passes from the mother’s bloodstream to the fetus through the placenta. The alcohol run’s through the fetus’s bloodstream, out into the amniotic fluid that surrounds it, and is taken in a second time. The level of alcohol in the fetus’s blood is often two times higher than in the mother’s blood. During the first trimester (zero-13 weeks), it causes teratogenesis (Morphologic abnormalities) and spontaneous abortion (miscarriages) during second trimester (>13-28 Weeks). During third trimester (>28-40 Weeks), it causes preterm labour, low birth weight and small-for-date babies. Alcohol is dangerous throughout every stage in pregnancy; it leads to central nervous system and brain damage. No amount of alcohol consumption can be considered safe during pregnancy. Health authorities are expected to develop guidelines and recommendation for the prevention and management of alcohol use in pregnancy based on country specific data. Awareness creation against danger of alcohol in pregnancy requires accurate knowledge of the magnitude of the problem in the country. Unfortunately, extensive literature search showed minimal and non representative information on the burden and pattern of alcohol use during pregnancy in Nigeria. To determine the burden and pattern of alcohol use during pregnancy, with the purpose of contributing to evidence-based recommendation for policy formulation, development and implementation of an effective alcohol use in pregnancy prevention and control in Nigeria. To improve awareness among pregnant women on the health related harm of alcohol use during pregnancy. It was a pilot study in Lagos State preparatory to a nationwide study. The lessons learnt and challenges encountered from the pilot study will be fed into the planned nationwide survey. It was cross sectional study. Facilities selected were three tertiary institutions and 25 General Hospitals. Also, 28 private hospitals were randomly selected. Others selected were 61 primary health centres (PHC) in Lagos state; traditional birth attendant (TBA) centres and four pregnant women interviewed from each health facility. A total of 468 pregnant women were interviewed. Ten local government areas (LGA) make up the site. These are: Lagos Mainland, Badagry/Apapa Ajeromi, Mushin/Surulere, Shomolu/Isolo/Oshodi, Eti-Osa/Epe, Ibeju Lekki/Lagos Island, Amuwo Odofin/Ojo, Kosofe/Ikorodu, Alimosho/Agege and Ikeja/Ifako Ijaiye. The tertiary hospitals involved in the study were: FMC, Ebute Meta, under Lagos Mainland and LUTH in Mushin and LASUTH in Ikeja/Ifako Ijaiye. There were 25 general hospital (GH) involved in the study including: Harvey Road Health Centre (HC); Ebutte Meta HC; Mainland Hospital; Badagry GH; Apapa GH, Surulere GH, Mushin GH, Gbagada GH, Shomolu GH, Oshodi Med Stores, Isolo GH, Ibeju Lekki GH, Epe GH, Lagos GH, Massy Street Children Hospital, LIMH, Onikan HC and Ajeromi GH. Others are; Ketu Ejirin HC, Agbowa GH, Ikorodu GH, Ijede HC, Alimosho GH, Orile Agege GH and Ifako Ijaye GH. 32 primary health centers (PHC) were involved in the study including; Otto PHC, Iwaya PHC, Sari PHC, Marine Beach, Ijora PHC, Ajara PHC, Apoa PHC, Ilogbo PHC, Itire Ijesha PHC, Ayantuga PHC, Orile PHC, Anjorin PHC, Akerele PHC, Mafoluku PHC, Akoka PHC, Jakande Estate PHC, Ishaga PHC, Oshodi PHC, Epe PHC, Ibowon PHC and Agbowa PHC. Others are Ajah PHC, Ikota PHC, Oniru PHC, Ibeju PHC, Lafiaji PHC, Olowogbowo PHC, Ikoyi PHC, Obalende PHC, Apakin PHC and Okunraye PHC. The private hospitals involved in the study are; Ore-ofe, Primus Medical Centre, Lagoon Hospital, A.Y Oyekan Hospital, Regina Mundi Catholic Hospital, Able God Hospital, Havana Specialist Hospital, R-Jolad, Life’s Fountain Medicare, Magbon Alade Medical Centre, Alasco Clinic, Epe Model Clinic, Adebisi Clinic and Ajike Sanda Memorial Medical Centre. Others are; St Nicholas Hospital, St Kizito Clinic, Graceland Medical Centre, Ilogbo Central Hospital, Holy Family Catholic Hospital, Chevron Hospital, Catholic Hospital, Ijede, Subol Hospital, Ancilla Catholic Hospital, Duro Soleye Hospital and Adunmo Memorial Hospital. Supervisor and Researchers involved in study are Prof. Innocent Ujah, Dr. Nwaokorie, Dr. Oliver Ezechi, Dr. Pascal Ezeobi, Ifeoma Idigbe, Dr. Stella Smith, Dr. Nwokoye, Idowu Edu, Dr. David and Dr. Gbajabiamilla. Others are; Dr. Wapmuk, Dr. Greg, Dr. Ganiyu, Mrs. Afocha, Dr. Onubogu, Tajudeen Bamidele, Miss Awoderu, Dr Brai, Dr Oke, Jane Okowzu, Mr. Odewale, Mrs. Musa, Mrs. Sabdat Ekama, Mrs Adangbada, Bimbo Adedeji, Ihotu Agbo, Mr. Adeneye, Mrs. Kunle-Ope, Mr. Yisau , Dr. Onwujekwe, Dr. Gab-Okafor and Aisha Issa. The survey on alchohol use in pregnancy also included a data capture form and certificate of consent. The certificate of consent contained the following information: “I have been invited to participate in this study. The certificate of consent also required the name of participant, signature, date; name of witness, signature and date. Completed questionnaires were submitted to supervisors for confirmation. The supervisors sent the questionnaires to Data Manager; Data double entered, cleaned and analysed. The type and level of facility involved in the study are: Private, public; primary, secondary and tertiary facilities. On the question – Alcohol use by trimester of pregnancy; 3.9 per cent said it is used in first trimester; 25.5 per cent – second trimester, while 70.6 per cent responded that it is in the third trimester. Conclusively, alcohol use in pregnancy is common in the studied population. Majority do not know that alcohol use in pregnancy has adverse effects on the baby. Majority of those who take herbal preparation do not know it contains alcohol. Health workers do not often ask about alcohol use in pregnancy. Obviously, there is urgent need for support by for a nationwide study to determine the burden of alcohol use in pregnancy for appropriate education for the community, women and their husbands. Also, important are public health education on the effects of alcohol use in pregnancy through print, electronic media as well as community and sensitization at religious places of worship. Other necessary steps are retraining of health workers on alcohol prevention counselling during pregnancy; Development of country specific guideline for the prevention and control of alcohol use in pregnancy. A nationwide study supported by Nigerian Breweries should be conducted to determine the national prevalence of Alcohol use/abuse in pregnancy. 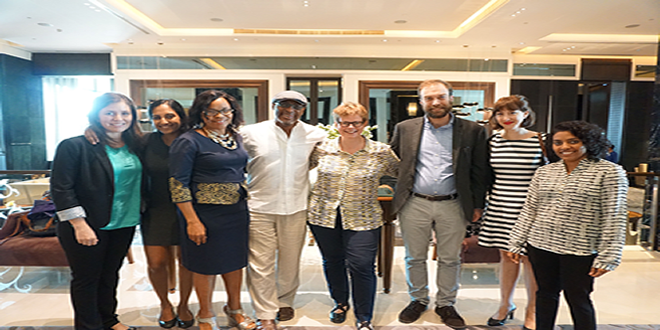 A follow-up case-control study, supported by Nigerian Breweries is expected to be conducted to determine the outcomes of babies born to women who consume alcohol in pregnancy. Similarly, retraining of Health workers and integration of alcohol prevention into existing Ante Natal Services (ANC) services should be conducted. The study was sponsored by Nigerian Breweries.The research was authorized by the following; Lagos State government, Lagos state Primary Health care Agency, Lagos State Health Management Board, Association of Traditional Birth Attendants and Management of Nigerian Institute of Medical Research (NIMR). This story was published in Newswatch Times on November 5, 2015.